John Muir referred to Mt. Rainier the noblest "of all the fire mountains which, like beacons, once blazed along the Pacific Coast." It is, indeed, and noble and prominent peak--preserved within Mt. Rainier National Park. At Reflection Lake, if one is lucky, Mt. 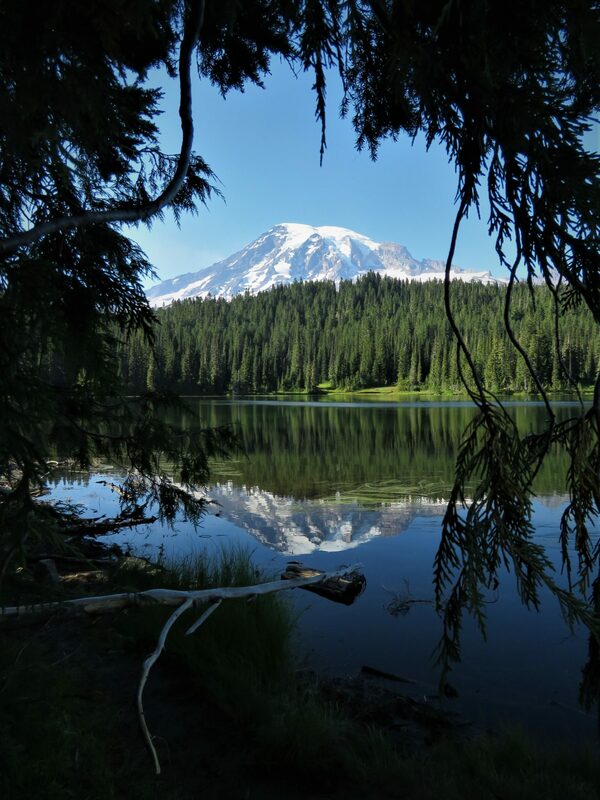 Rainier can be seen reflected in pristine alpine waters. Given that the lake is lined by beautiful pines, I took the opportunity to frame Mt. Rainier and its reflection in a "portal" produced by the weeping branches of this particular pine.